Today twelve SHS students participated in SPEAK OUT, an oration contest sponsored by the Sanford Lions Club. Speak Out provided high school students opportunities to address important issues facing them, their community, state, nation and world. 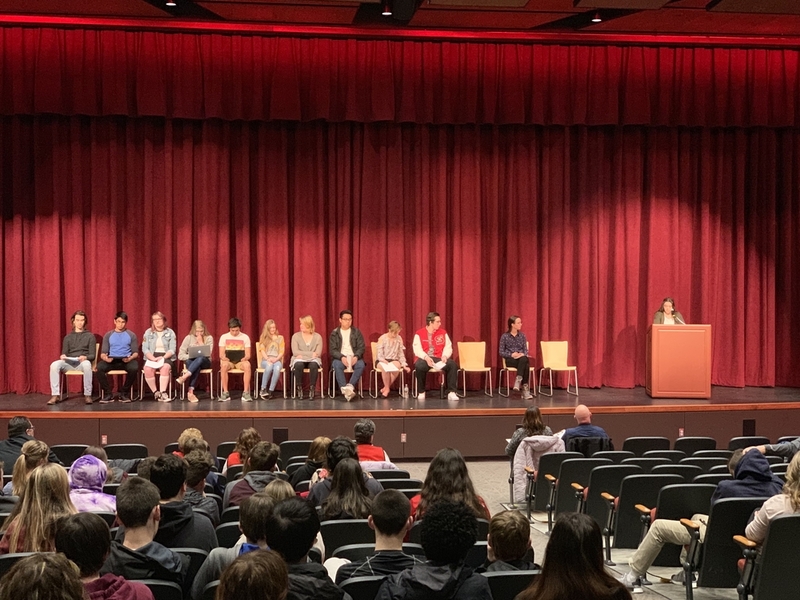 Students used their voices to address a range of issues including male contraceptives, school shootings, depression, vegetarianism and more. Prizes were awarded to the top three speakers.